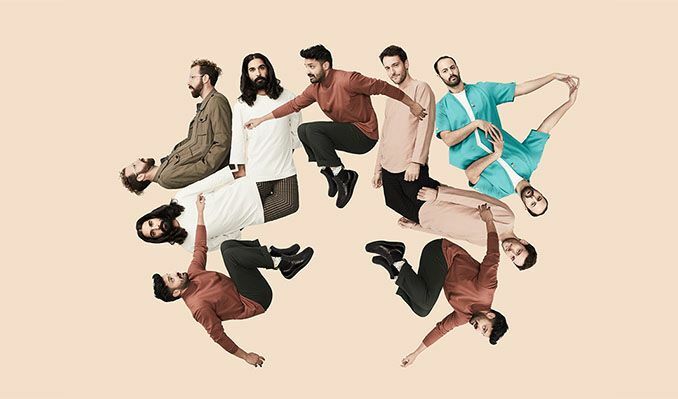 Proving their instinctive ingenuity, Young the Giant ultimately created a genre-defying and dynamic album, one that transforms the complexity of its themes into music with a mesmerizing quality. Right from the opening track “Superposition,” Mirror Master proves untethered to the mundane, its ethereal textures merging with lyrics that capture the cosmic destiny of a life-altering romance (e.g., “In any universe you are my dark star”). Fan favorite “Superposition” swiftly climbed the Alternative Radio charts, and eventually held the #1 position for multiple weeks. Then, on “Simplify,” Young the Giant switch gears to offer up an anthem built on bold and buzzing guitar riffs. “The idea of ‘Simplify’ is that while there’s so much to deal with in this world, so much sensory overload at every moment, being able to connect with someone you love at the end of day can make everything so simple,” says Gadhia. Throughout Mirror Master, Young the Giant move through an immense scope of sounds: the gauzy sprawl and choir-like harmonies of “Darkest Shade of Blue,” the string-laced reverie of “Glory,” the brisk beat of “Brother’s Keeper” and disco jangle of “Tightrope,” the delicate psychedelia of “Panoramic Girl.” Along with showcasing Gadhia’s nuanced yet powerful vocals—an instrument praised by the New York Times as “one of the great contemporary rock voices”—the album underscores the uncompromising intensity that’s earned Young the Giant a devoted following and long captivated audiences at their kinetic live shows.